Krzysztof J. Ptasinski, Ph.D., D.Sc., has over 40 years of experience in academic teaching and research in chemical engineering and energy technology. He has held appointments at the Eindhoven University of Technology and the University of Twente (the Netherlands) as well as the Warsaw University of Technology and as visiting professor at the Silesian University of Technology (Poland). 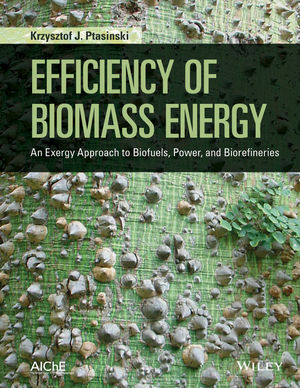 His pioneering research on application of exergy analysis to biomass and bioenergy is internationally acclaimed. He is the author and co-author of more than 200 publications, including 19 book chapters and 75 research papers. Currently he serves as an Executive Editor Biomass and Bioenergy – Energy, The International Journal.